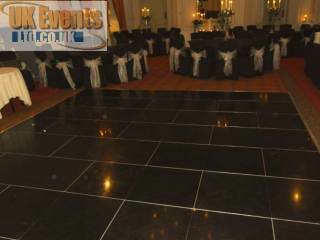 Our beautiful plain black dance floor will create a prefect dance area for you and your gusts to party the night away. 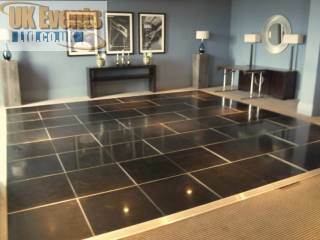 As with all of our floors, you choose any size (square or rectangular) to fulfil your requirements. We have a large amount of stock in the pure black flooring enabling us to achieve extremely large dance areas as well as exhibition stands, promotional flooring and other applications requiring quality hardwearing floor solutions. The all black dance floor is now available with add-on items such as LED uplighters, starcloth backdrops, LED furniture and discos.